MUMBAI: Sad news for the viewers of Qayamat Ki Raat! The Star Plus series is all set to bid adieu to the audience and the team has completed the shoot for the show. 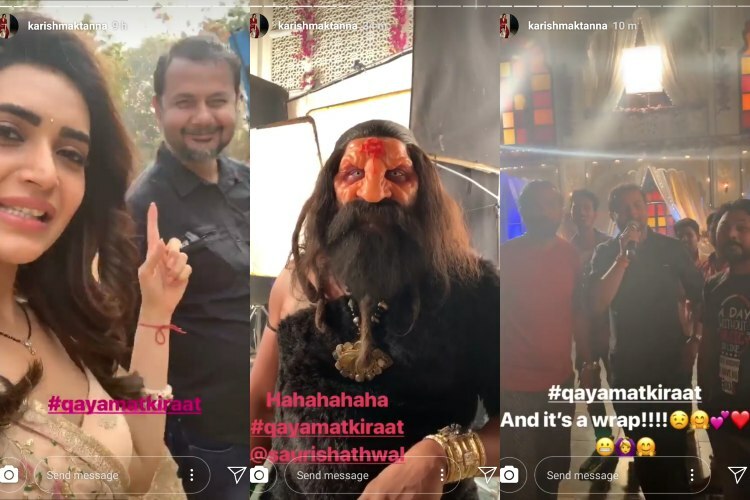 Qayamat Ki Raat is a supernatural show by Balaji Productions starring actors like Vivek Dahiya, Karishma Tanna, Saurish Singh Athwal and Madhurima Tuli. With its gripping storyline, unexpected twists and turns, and chemistry between Gauri (Karishma) and Raaj (Vivek), the TV series kept audiences glued to their television screens every weekend. Other characters like kalasur (Saurish) and Sanjana (Madhurima) were equally popular. The show, which premiered on 23 June 2018, will air its last episode on 17th of February. Qayamat Ki Raat will be replaced Divya Drishti. Also a supernatural show, Divya Drishti stars Sangeeta Ghosh, Sana Sayyad and Mansi Srivastav in key roles.